Let’s talk about modes for a bit. 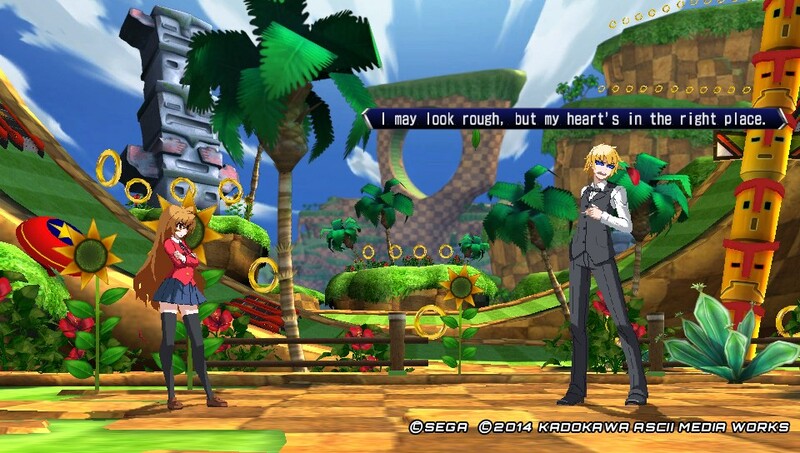 The story mode is more like an arcade mode, but here’s the synopsis of it all: Denshin (a humanized version of the Dreamcast, if you know anything about Sega Hard Girls you’ll recognize the design) has summoned you to stop Zetsumu – an evil spirit bent on destroying dreams and the worlds the other characters belong in. 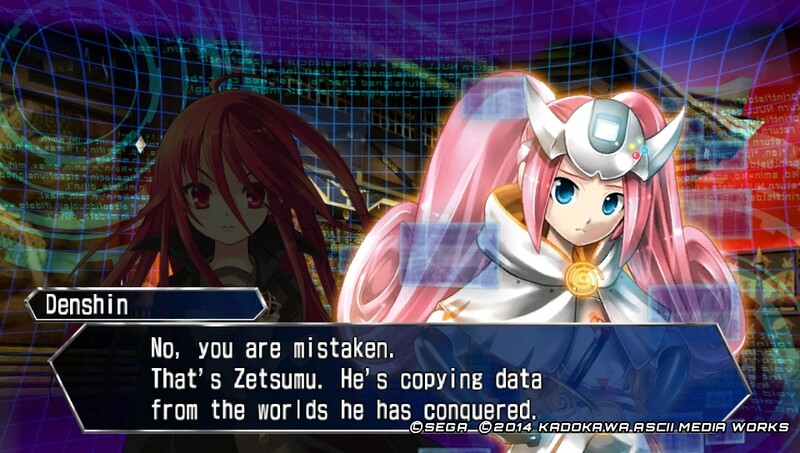 That said, you’re Denshin’s final hope at defeating Zetsumu. It’s a quick 9 bout and at the end of road you’ll get 1 of 2 characters to unlock. 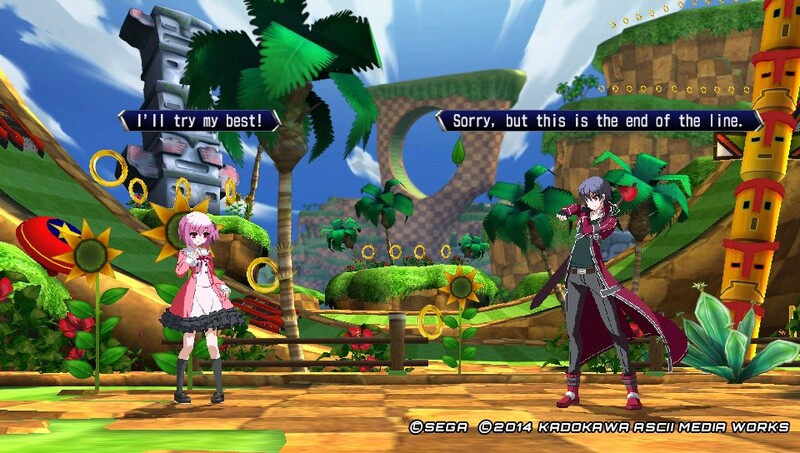 Unfortunately, local and online multiplayer can only be played by other Vita owners or PS3 respectively so there is no cross-platform play here. However, there is cross-save so if you have both versions, high scores and such aside, you can enjoy your replay data as well. 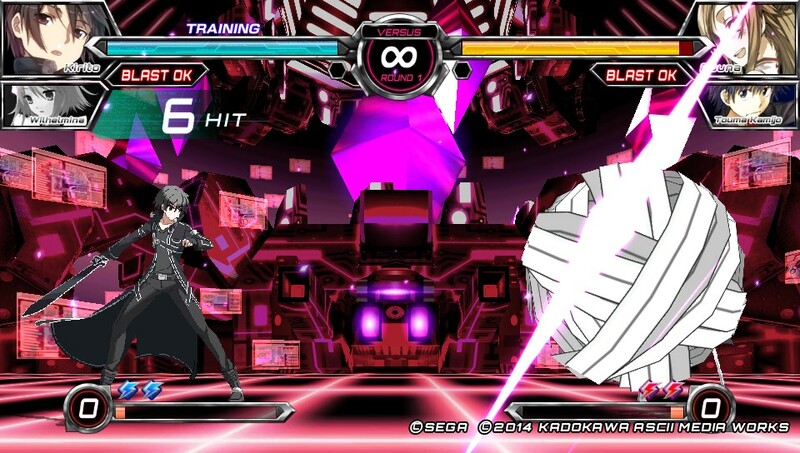 The game also features a Survival mode, Time Attack mode, Score Attack mode, and Training mode so there is always something to do. Playing any mode in this game (minus training) will rewards you with CP. This CP will allow you to purchase hundreds upon hundreds of things to unlock. This game doesn’t have much to unlock through sheer gameplay. You get to unlock two characters to use, but after completing this using a character or support character will prompt a notification saying you can now pay (with CP) to listen to the characters’ voice recordings in the game. After that, it’s truly nothing but things to buy with CP. The game gives you a lot of CP to work with so there is never a time where you can’t buy something. At the same time there’s so much to unlock it feels sort of tedious to just keep unlocking new outfits for a character or plates or autographs for your online badge. Okay, time to talk about the mechanics. 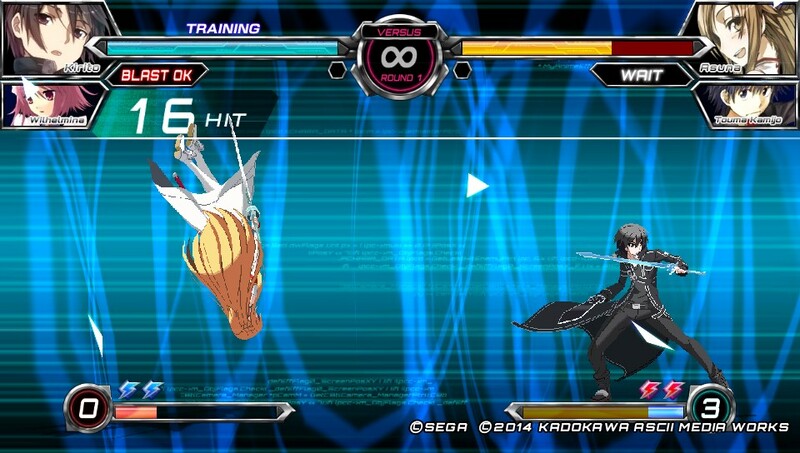 Dengenki Bunko: Fighting Climax is a four button 2D fighting game. 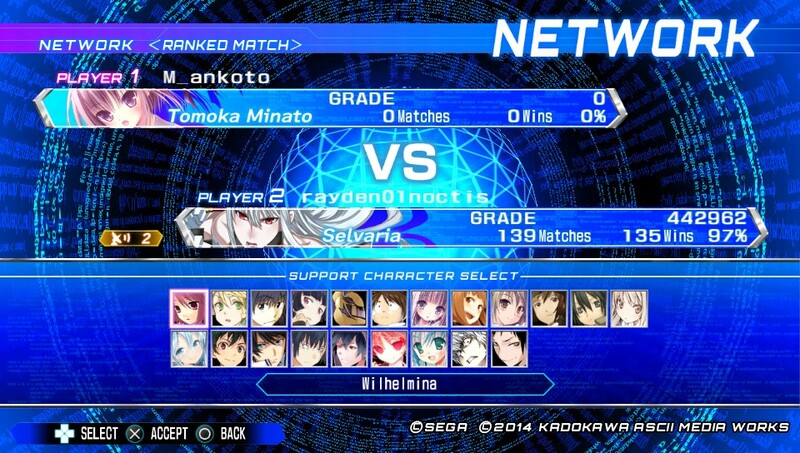 You can use only 1 character and 1 support character in a match at a time with a total of 14 character fighters and 20 supporting characters. Everyone is simple and easy to use, barring two characters, everyone’s input commands (meaning making the correct motions or combination of buttons to perform a certain action) are the same. So there is no need to worry about which specific special move belongs to which character or which character is a charge character (as there are none). 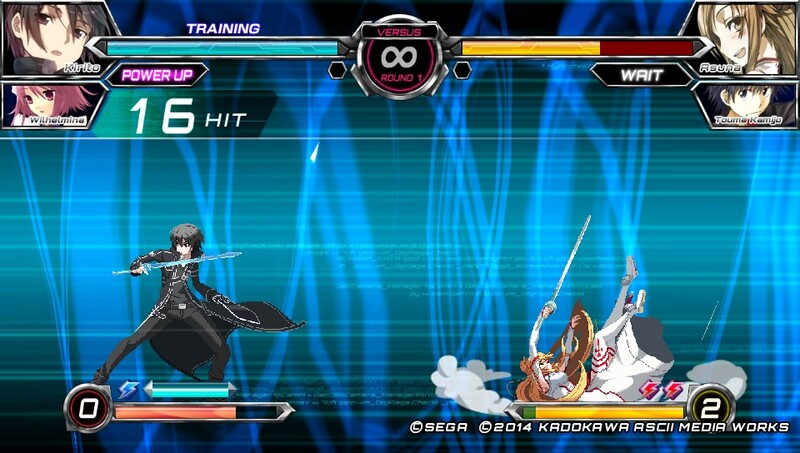 The game even features a “quick combination” move where you press the light attack button 5 times to perform a combo that ends with a special attack. Everyone can double jump and can do a super/long jump type action. 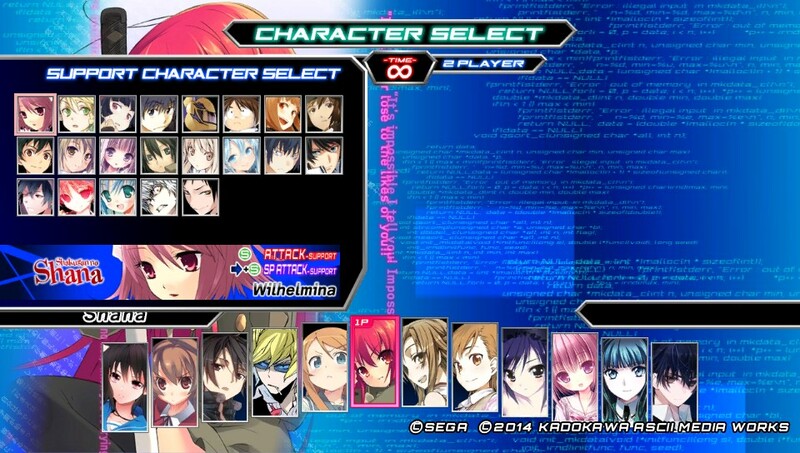 Some characters, like Shana, have an air dash option at their disposal as well. As far as combat goes, there are four attack buttons that enable attacks and they provide: light, medium, and heavy attacks with the fourth providing assistance from your support character. Keep in mind that using your support character uses an entire meter with an added cool down time, so timing is key when you plan to use it. With three main attacking moves, you can press two or all three buttons simultaneously to do a different command. Pressing the light and medium attack buttons at the same time provides you with a move with super armor (an attack where the opponent will have to hit you more than once to stop your hit from connecting). 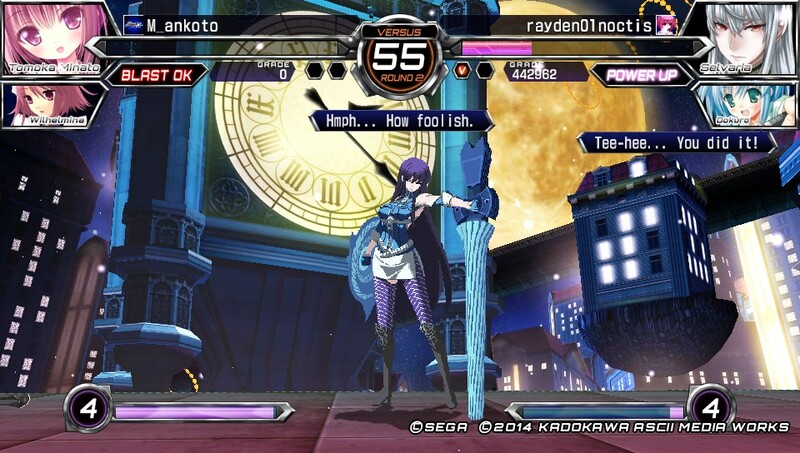 Pressing the light attack and heavy attack buttons simultaneously will allow you to use one of your “trump cards”. A trump card has two variants, a defensive (will be shown as blue) one and an offensive (will be shown as red) one. Trump cards are meant to be used sparingly as you only have two of them, and you don’t get another unless you lose a match. Keep in mind, however, that if you have two already and you lose a match, you don’t start the next match with three. Now, when a trump card is used, regardless if it was an offensive or defensive type, your offensive capabilities will temporarily be increased and some combo chains that didn’t work before may work now with this temporary boost. Pressing all three buttons at once will make use you a “blast” technique. Blasting has two uses, you can use it when you’re backed into a corner or when you want to go on the major offensive. When blasting, the current combo (unless the gauge says “wait”) your opponent is doing will abruptly end and they will be knocked back as the end result. This can also be used in a super offensive way in that you’re granted a meter, your meter gradually increases as well as your HP, and like trump cards, your offensive capabilities will be increased. Last but not least, everyone has a hidden potential. These potentials are only unlocked for a few seconds, but can be very useful to you as some provide an extra boost in either attack or defense. There are three different kinds of supporting moves a support character can have – attack, special attack, and defense. With an attack support move, it’s a move that just attacks. A special attack support move is an attack with a condition behind it, for instance Wilhemia’s normal support attack does a 4 hit combo for damage, but her special attack does just as much damage and binds the opponent and is a 10 hit combo. A defensive support move provides good results as well. 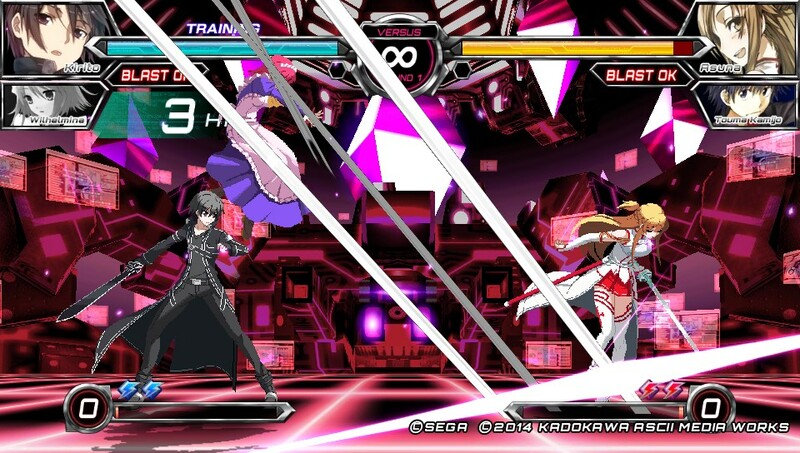 For instance, if your opponent hits Tatsuya while he’s using his defensive support move, the opponent can no longer attack for a certain amount of time. On the other hand, Holo’s defensive move actually recovers your heath. Keep in mind that support characters only have 2 supporting moves. 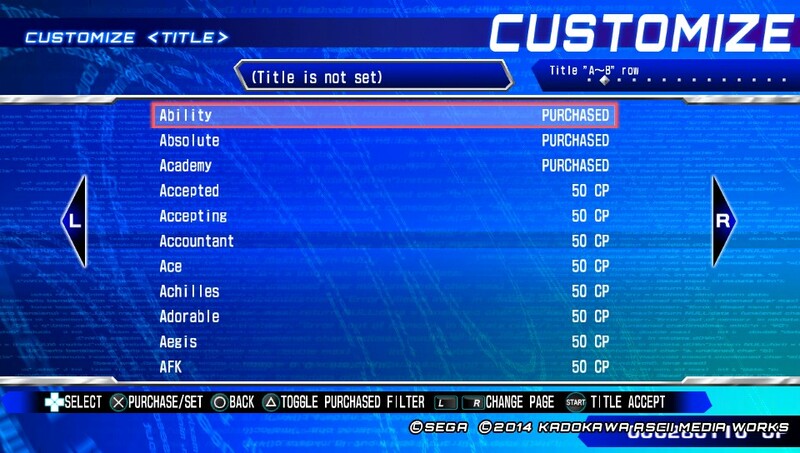 So, some characters might have an attack option and a special attack, or a defensive option with an attack, et cetera. As someone who is usually bad with fighters, I had some fun here. 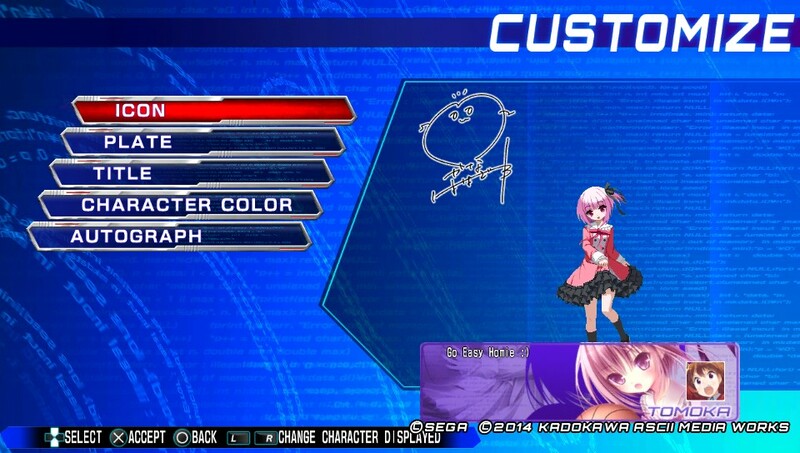 It’s not the best fighting game out there, but fun times are definitely going to be had here. It’s has a nice pick-up-and-play style to it, so if a friend were to play, they’d understand the controls quickly. Nobody felt too powerful but nobody felt too weak either. Of course, every character had strengths and weakness about them. In the end, as long as online is an option and alive, I’ll be sure to be playing this for a while. 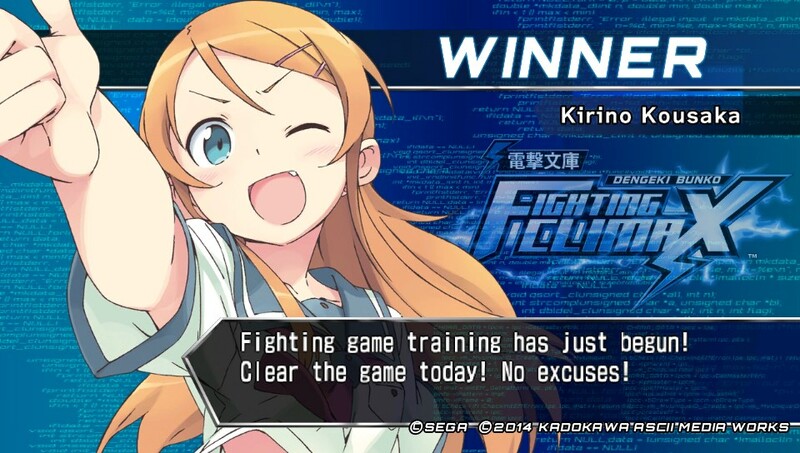 Posted on October 5, 2015, in Reviews and tagged anniversary, Cross-Over, DBFC, Dengeki Bunko, Dengeki Bunko Fighting Climax, Fighting Climax, PS3, Review, Sega, Vita. Bookmark the permalink. 1 Comment. 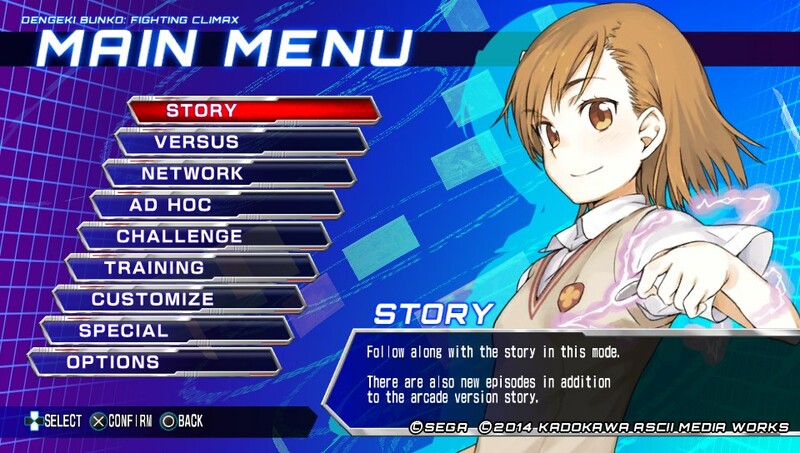 I picked this game over J-Stars as I like the light novels more than Shounen Jump.